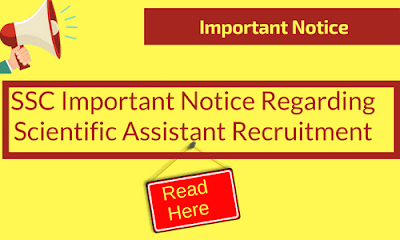 SSC has released an important notice regarding the recruitment of Scientific Assistant in India Meteorological Department. Please go through the notice carefully. 1. Candidates may refer to the Notice of Recruitment of Scientific Assistant in India Meteorological Department Examination, 2017 uploaded on the website of the Commission on 18.07.2017. 2. Attention is invited to Note-II of Para-5 of the Notice under the heading “Minimum Essential Educational Qualifications”. It is reiterated that the qualifying Degree or Diploma in the listed disciplines must be of three years duration after 10+2 Examination. 3. It has also been decided to extend the last date for receipt of online applications for the above Examination by 10 days. The last date for filling up of online application will now be 14.08.2017 (5.00 P.M.). 4. As regard payment of fee through challan, it is informed that the candidates may make payment to the designated branches of SBI during working hours of the Bank up to 18.08.2017 provided the challan has been generated by them before 5.00 P.M. on 14.08.2017. 5. With regard to Question Papers, it is stated that in Part-II, there will be three separate papers on (i) Physics, (ii) Computer Science and Information Technology, and (iii) Electronics and Telecommunications. 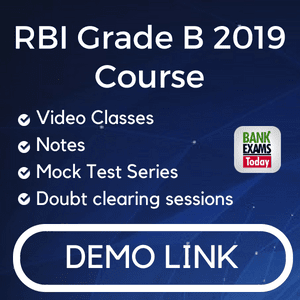 Candidates will have the option to choose any one of the above three question papers in Part-II. 6. The other terms and conditions mentioned in the Notice of the Examination will remain unchanged.